The Jeld Wen Builders Vinyl window is an entry level vinyl window, also known as the Jeld Wen v2500 model, and comes with the following features; double strength glass, a single cam lock, and a fiberglass mesh screen. The sashes on the double and single hung windows tilt in to allow for easier cleaning. The Builders Vinyl window is available as both a new construction and replacement window. The v2500 Series comes in 3 interior colors, including white, desert sand and almond. The window comes in 5 exterior frame colors, including chestnut bronze, dark chocolate, almond, white and desert sand. 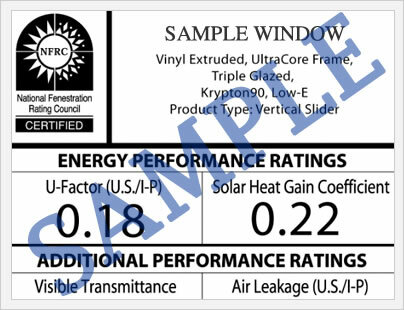 This entry level vinyl window does not offer the sort of quality construction or design that most homeowners should be looking for in their replacement windows. In terms of Jeld Wen products, most consumers would be much better off with the Jeld Wen Premium vinyl window, which should offer increased long term value. Jeld Wen Builders Vinyl Window will run $20 to $30 per square foot for the window itself. The price per square foot will depending on where you purchase the window from, the number of upgrades and add ons you opt for, as well as the glass package you select. Compare the Jeld Wen Builders Vinyl Series to American Craftsman 70 window prices and Window World costs. The Jeld Wen Builders Vinyl double hung with deliver a 0.33 U-factor and 0.24 SHGC. There are mediocre numbers at best, but they are a shade better than I was expecting from this economy window. The Builders Vinyl window will be ENERGY STAR Qualified in all 4 regions with an upgrade to the low-e2 glass package. This window is sound transmission control rated. The Jeld Wen Builders Vinyl comes with a limited lifetime warranty on the vinyl mainframe and sash. The company guarantees that the window will not blister, peel or corrode over the life of the original owner. It includes a 10 year provision on exterior frame colors and a two-year provision that covers the labor portion of any replacement or repair. 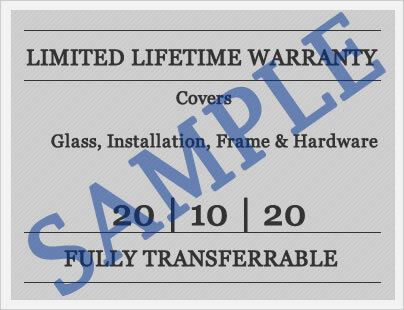 The Jeld Wen windows warranty is transferable to a subsequent owner and is then applicable for 10 years from the time of the original purchase. There are a number of limitations and exclusions included in the warranty that consumers should know prior to purchase. As with all window warranties, homeowners need to read the entire warranty to better understand what isn't covered. Do you have Jeld Wen Builders Vinyl windows reviews that you could share with others? The more opinions, the better - homeowners can learn a lot from the experience of other. Have questions on the Jeld Wen Builders Vinyl window? Ask our resident experts and get the answers you need for this or any other other replacement window you might be considering.